Frank Zaneth didn’t always look like the traditional and Hollywood image of the Mountie in the Red Serge uniform. He was most often undercover, as the RCMP’s most secret and valuable operative. He took on the mob, infiltrated the labour movement, cracked one of North Americas first major money laundering cases and stood down a conscription riot. Known in his reports only as Operative No. 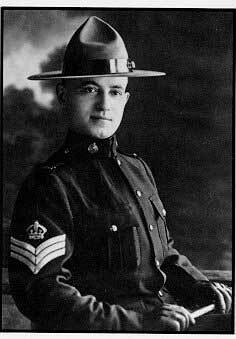 1, he donned disguises and took on a thousand faces as part of a small elite group of Mounties that enforced Canadian federal laws in the early days of this century. After the conscriptions riots of Quebec in the First World War, Frank Zaneth went west where he infiltrated the radical labour movement in the coal mines of Drumheller and later in Calgary. His testimony was crucial in the conviction of leaders of the Winnipeg General Strike and from then on Zaneth was derided by the left as an agent provacateur.. In the 1920s and 1930s, he took on the mob, in Quebec and Ontario. One of his main targets were Rocco and Bessie Perri , the King and Queen of Ontario’s Prohibition and drug rackets, Undercover relates the Perri connections to Chicago and Zaneth’s undercover reports give a never before seen glimpse of undercover operations against Al Capone. In the 1930s, Zaneth gained continent wide fame for breaking the first “French Connection”–a morphine and heroin racket that brought smuggled drugs from Paris to New York City via Montreal. Zaneth was also probably the first police officer to track money laundering, by tracing how the American mob paid the notorious Sam Bronfrman for all the Canadian booze that went south from St, Pierre and Miquelon, Newfoundland and Halifax to the thirsty United States.